TOKYO, April 27 (Reuters) - Japan's Canon Inc reported first-quarter net profit that fell by almost a third on Monday, grossly undershooting expectations, citing a collapse in demand for compact digital cameras. Profit at the world's largest camera maker fell to 33.93 billion yen ($285.27 million) in January-March, compared with the 53.64 billion yen average estimate of 5 analysts according to Thomson Reuters data. The result comes as the world's No. 1 camera maker contends with a shift in consumer preference toward increasingly capable smartphone cameras. That shift has dragged Canon's compact sales down nearly 70 percent since the market's peak in 2008 - the year after Apple Inc released its game-changing iPhone. "Sales volume for low-end (digital camera) models declined due to the ongoing contraction of the market in all regions from the previous year," said Canon in its earnings release. It did not specify first-quarter compact sales, but lowered its 2015 forecast to 7.0 million cameras from 7.8 million, or 23 percent less than 2014. It projected sales of higher-end cameras with interchangeable lenses at 5.8 million rather than 6.4 million, representing a 9.4 percent on-year decline. 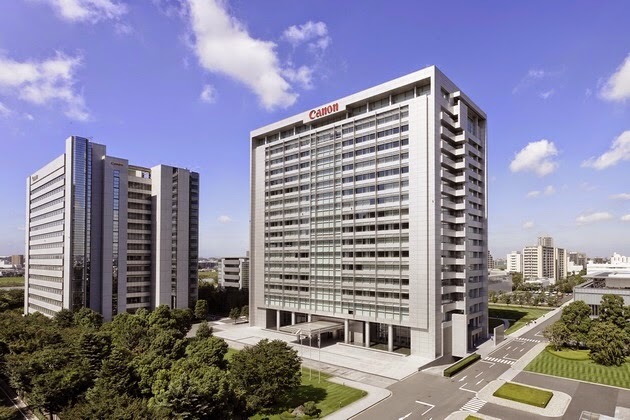 Canon also said, without elaborating, that first-quarter net profit was brought down by an increase in its effective tax rate as well as a euro which fell 11 percent against the yen. The firm, which earns about 80 percent of revenue overseas, cut its euro-yen forecast for the second to fourth quarters to 130 from 135 previously. It kept its dollar-yen view at 120. Shares of Canon closed 0.7 percent higher ahead of the release versus a 0.2 percent fall in the broader market. Canon has been seeking growth opportunities to offset shrinking demand for cameras, and compacts in particular. It plans to buy Swedish surveillance firm Axis AB for $2.7 billion - offering 340 crowns ($39.31) a share until the extended deadline of May 5 - and as of Friday owned 84 percent. It does not plan to up its offer even though hedge fund Elliott Management has since raised its ownership to 10 percent. A Canon executive on Monday said the firm was not considering offering Elliott a higher price, and that it was in no hurry for a complete takeover. "Of course owning it 100 percent would give us more freedom in operating it but there's not necessarily any rush," Toshizo Tanaka, executive vice president and chief financial officer, told reporters at an earnings briefing.